Employees and management all share their belief in progress and innovation in stem cell therapy, which bears enormous medical potential. Vita 34 wants to participate actively in shaping this development. This does not only involve special professional knowledge in the fields of chemistry, biology, biotechnology, and medicine, but also the courage and the far-sightedness to lead an enterprise safely, innovatively, and constantly growing into the future between the conflicting fields of research and economy. Dr. Wolfgang Knirsch, born in 1960, has been a member of the board of Vita 34 AG since June 2016 and was appointed CEO of Vita 34 AG in June 2017. After he received his PhD in inorganic chemistry by RWTH Aachen, Dr. Wolfgang Knirsch made a shift from institutional research to the pharmaceutical industry in 1992. He started his career in the sales and marketing division of Hoechst AG. Later, he was in charge of the product management of internationally relevant ethical preparations of the successor company Aventis Pharma GmbH. When he went to work for Merck KGaA, he became responsible for new business and national marketing of the company’s most important product sector. In 2005, Dr. Knirsch took over the management of the operational and strategic marketing of Biotest AG. After the successful restructuring and reorganization of the division, he made a shift to the international line of business in 2011. In his position as Vice President of International Business, he successfully advanced the strategically relevant department worth several hundred millions of Euros involving distribution partners worldwide. Falk Neukirch, born in 1971, was appointed CFO of Vita 34 in October 2015. He successfully completed his studies of Business at the Technical University Dresden with the degree “Diplom-Kaufmann” [MBA]. Following his studies he worked for a large auditing firm for several years and assumed various management functions in the area of finance. From 2007–2014 Mr. Neukirch was the Director of Controlling at the publicly traded First Sensor AG, and in this time accompanied several company acquisitions. His last position was as Finance Director and an authorized officer of BGH Edelstahlwerke GmbH. Mr. Falk Neukirch has extensive knowledge in international accounting (IFRS) prescribed for publicly traded companies, as well as experience in company acquisitions and their integration. In addition to passing the resolution of amending the articles of association as to reduce the number of members of the supervisory board from six to four, two new members were elected to the supervisory board at the general shareholders’ meeting on June 28, 2017. The new members of the supervisory board are Frank Köhler and Steffen Richtscheid. At the following meeting, the supervisory board elected Frank Köhler the new chairman. He took this office in place of Dr. Hans-Georg Giering, whose term of office – like that of Alexander Starke and Dr. Holger Födisch – ended that day. Gerrit Witschaß remains the vice chairwoman and Dr. med. Mariola Söhngen remains the fourth member of the supervisory board. With effect from the end of the general shareholders’ meeting on June 28, 2017, Artur Isaev resigned from the supervisory board of Vita 34 AG. The tissue characteristics of your own stem cells are perfectly consistent. They are as unique as the fingerprint and as individual as the personality. Neonatal stem cells are not impaired by age or environment yet. They are unpolluted, viable, usually free from viruses and bacteria, and divide at a very fast rate. Stem cells from umbilical cord blood are particularly adaptive. They can become a variety of cell types because of their differentiation potential. Vita 34 is involved actively in application research and collaborates with universities and research institutions all over Europe. In the business year 2015, Vita 34 intensified its research activities and thus allows for the dynamic development in the field of regenerative medicine. 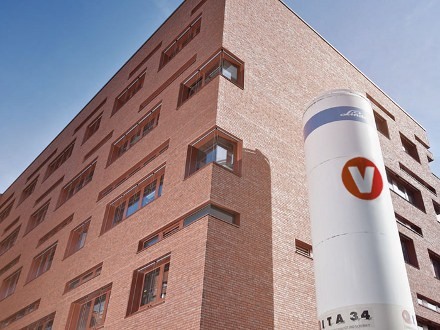 Vita 34 has its own specialized laboratory at the Bio City Leipzig. Thus, the entire process, from collection to transport, preparation and storage of umbilical cord blood and tissue to it being handed over to attending physicians, lies in our hands. Paul Ehrlich Institute, an entity of the German Federal Ministry of Health, and other authorities, regularly monitor the laboratory and processes. You are welcome to look over our shoulder and follow the preparation process at the GMP-compliant high-tech laboratory. Agree an appointment for a visit on location or check it out directly online with our virtual 360° laboratory tour.